I like to get away from the crowds at times, so it was no surprise for me to be out among the flatlands with just the sound of a tractor to be heard the other afternoon. A warm south-westerly was blowing and all was right with the world. Apart from the pike not playing ball. 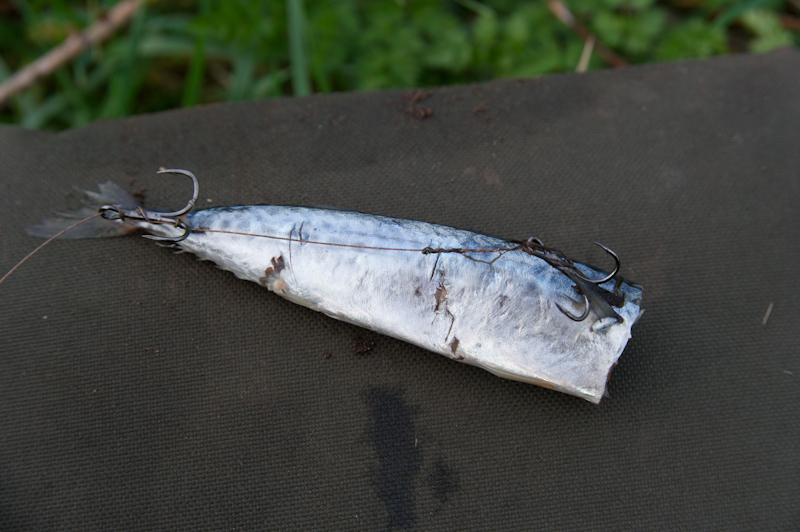 One bait grabbed on the recast then dropped was all the action I'd had by the time lunch had been eaten. Judging by the marks on the bait it had been a tiny jack, a rooter. Having arrived well before dawn I'd had one of those wildlife encounters that anglers have on a regular basis. The rods were on their rests at the water's edge and I was tucked back against the floodbank, sat in a low chair sipping the first cuppa of the day. The sky was starting to lighten, but not enough to bring full colour to the world. Everything was still desaturated in the half-light when a movement over the drain to my right caught my eye. A barn owl, the same shade as last year's grass, silently passed over my rods oblivious to me sitting some twelve feet away. The owl carried on a few more yards before crossing the drain and disappearing from view behind the reed tops. In the distance a tawny owl hooted in the quiet before the rats began their daily race. Time was getting on and a move was being contemplated when the tractor's engine fell silent making the raucous calls of the gulls which had been following the plough sound louder. I recast one of the rods and turned to see a chap in blue overalls approaching, flask in hand, preceded by a young German shepherd. I guess spending all your days driving a tractor, even in an air-conditioned cab with all mod cons, can lead to a need for human interaction. When asked I told of my failure so far. "Me and my lad used to do a bit of piking. See those trees over there? There's a drain at the back of that wood. I used to keep well in with the keeper and he'd turn a blind eye to us fishing it. We had lots of pike out of it. Plenty of doubles and twenties, biggest thirty-two pounds." The dog wandered under one of my rods and knocked the bobbin off. My companion looked confused by the bleeping coming from my rucksack as I tightened the line back up and reset the indicator. "Mind you we've had nothing like that for getting on fifteen years now. Me and my big mouth told the keeper. He had a group of Chinese on the shoot one time and they got wind of it. He let them fish the drain and they ate everything they caught. All we've had since have been small pike."